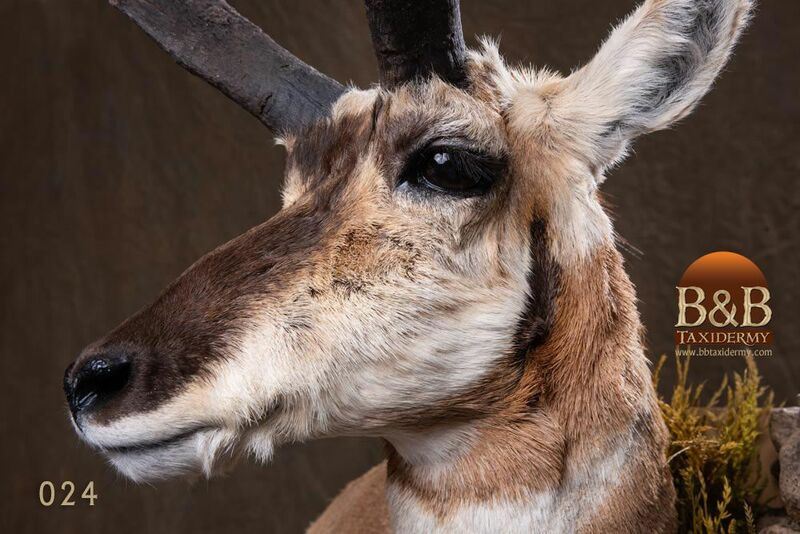 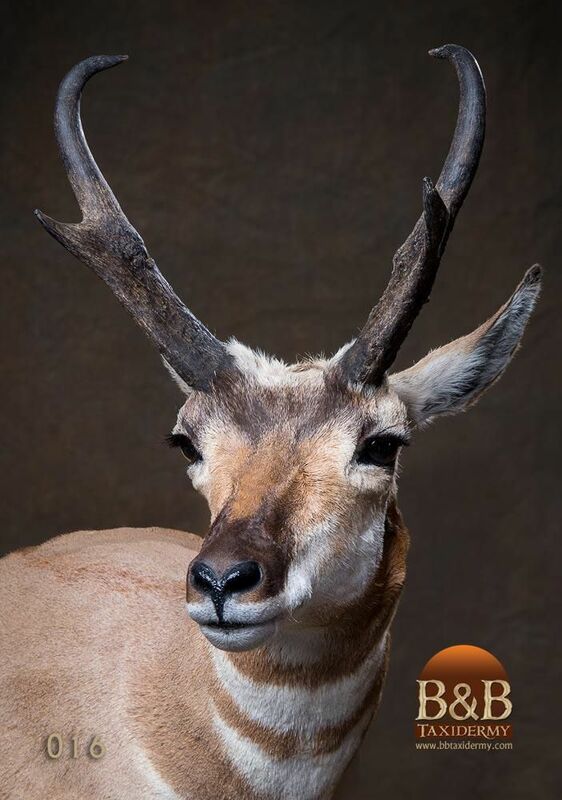 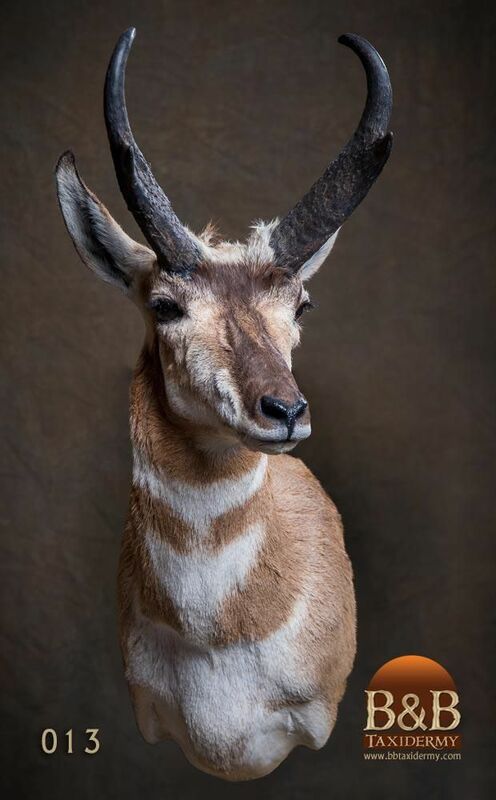 Pronghorns are often mistaken for antelopes. 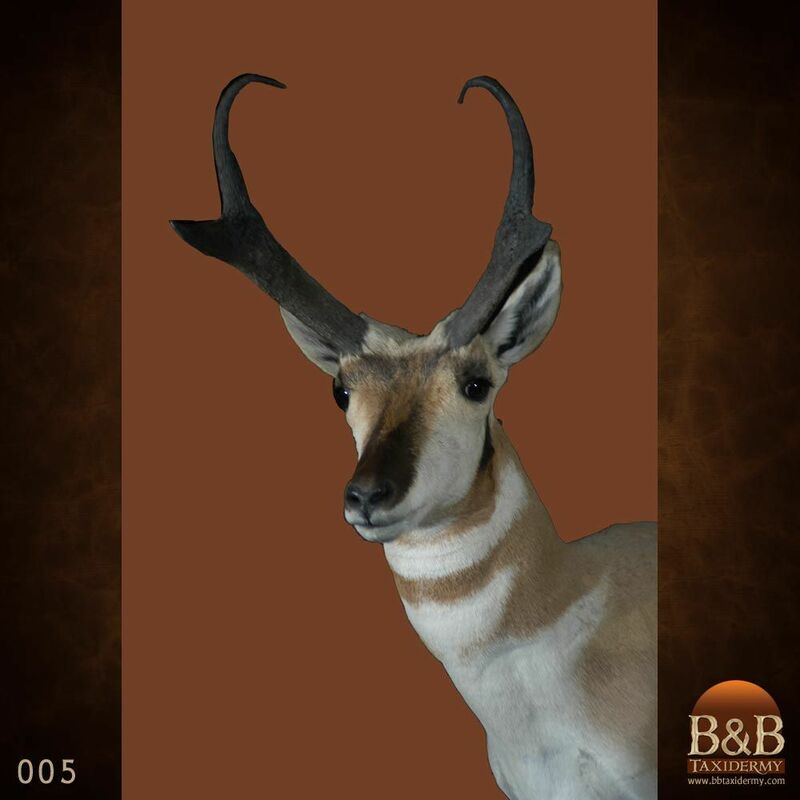 They often live in small herds throughout the treeless plains basin and deserts. 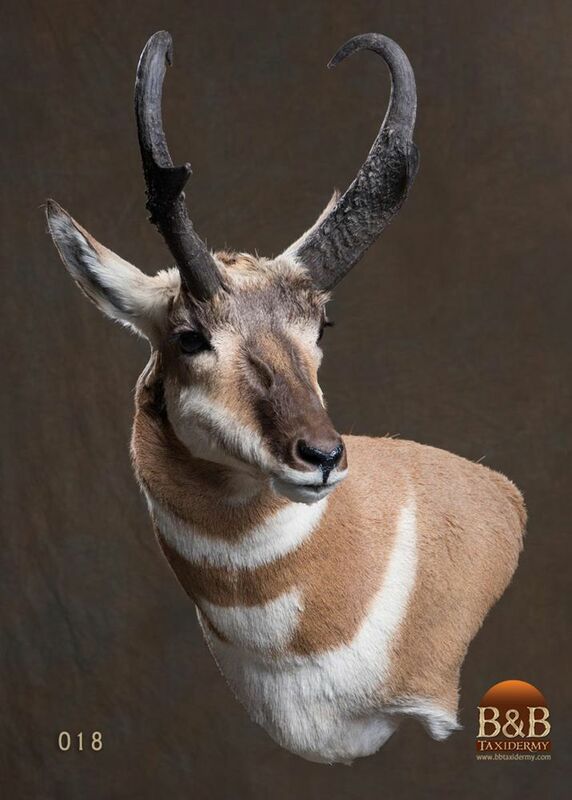 Pronghorns can run up to 60 miles per hour and can sustain a speed of 30 miles per hour for an extended amount of time. 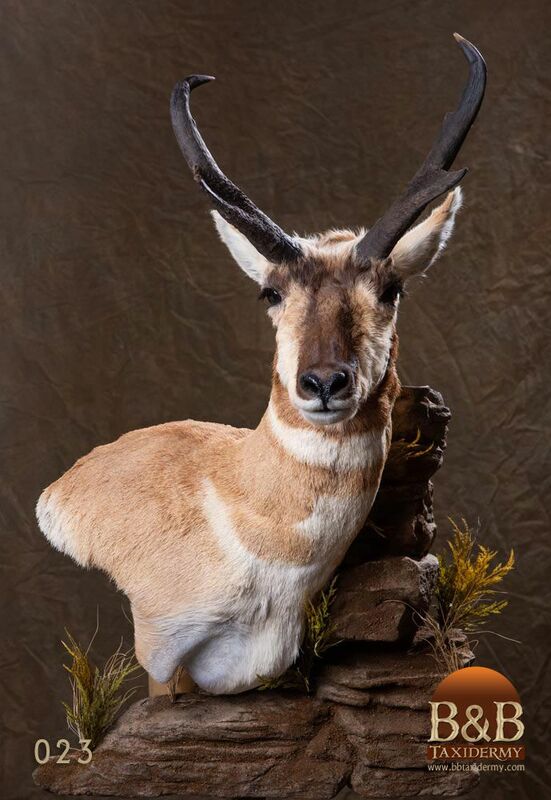 Pronghorns do not jump over fences, they actually will crawl underneath them. 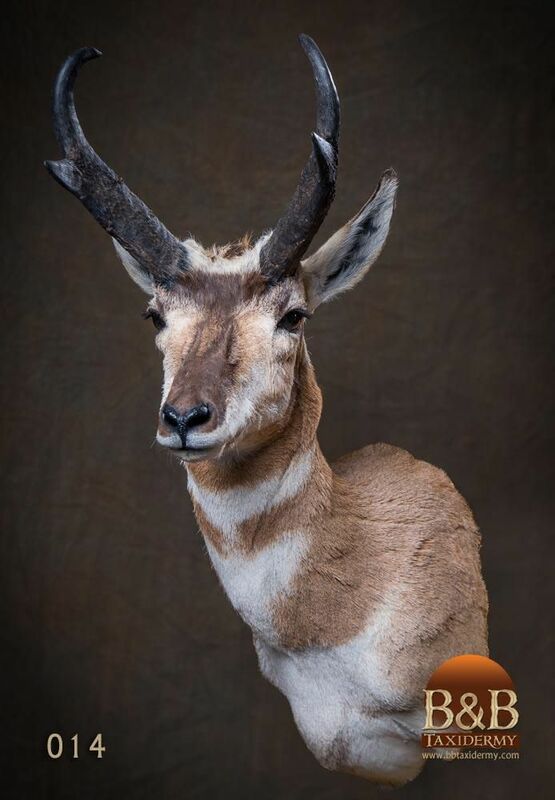 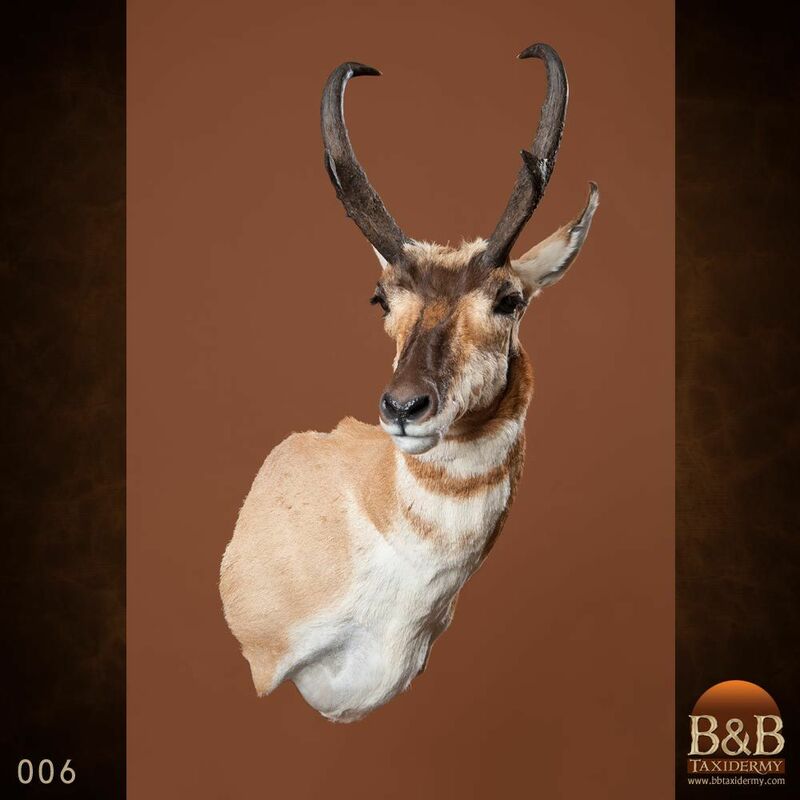 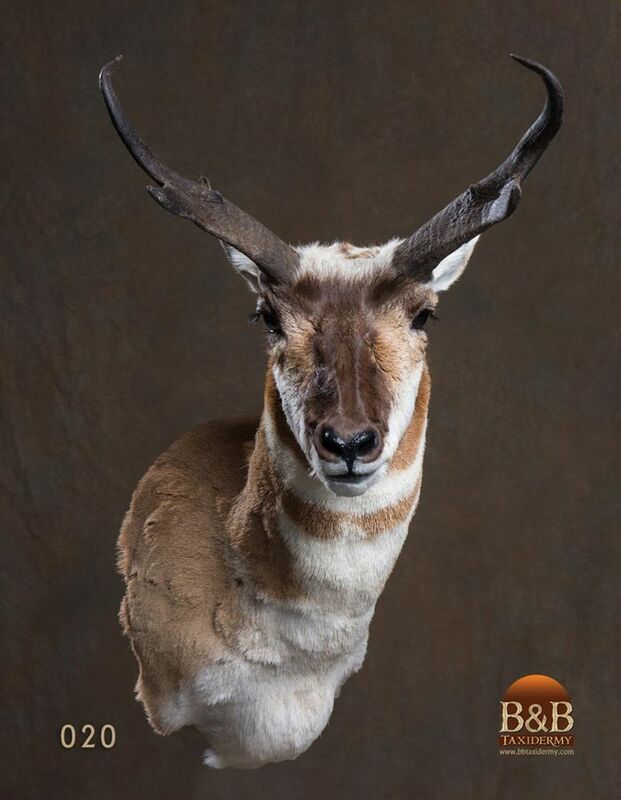 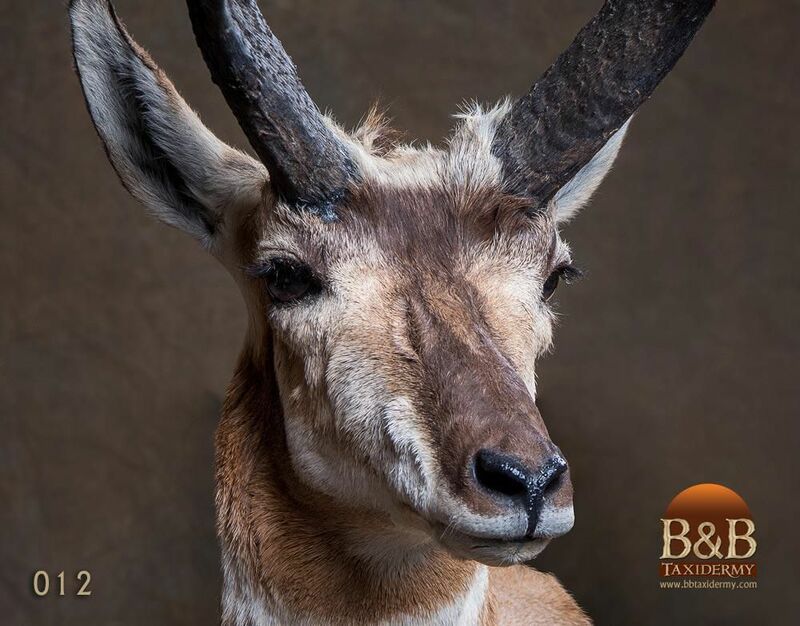 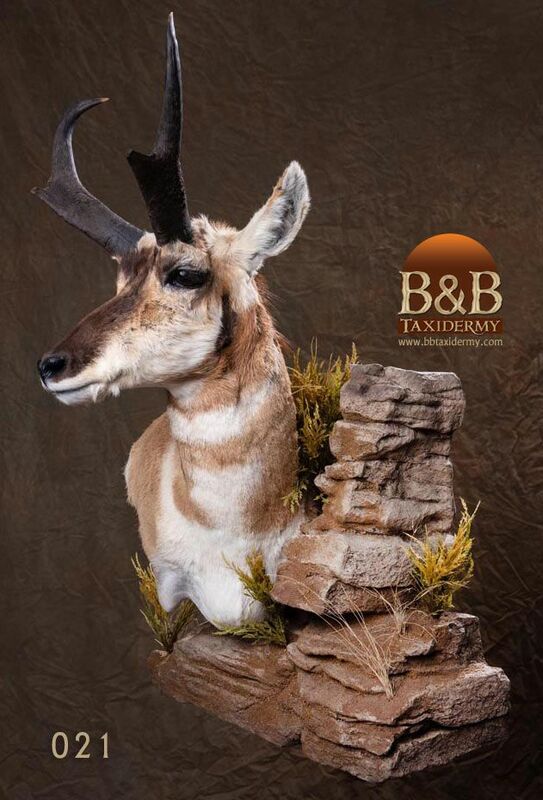 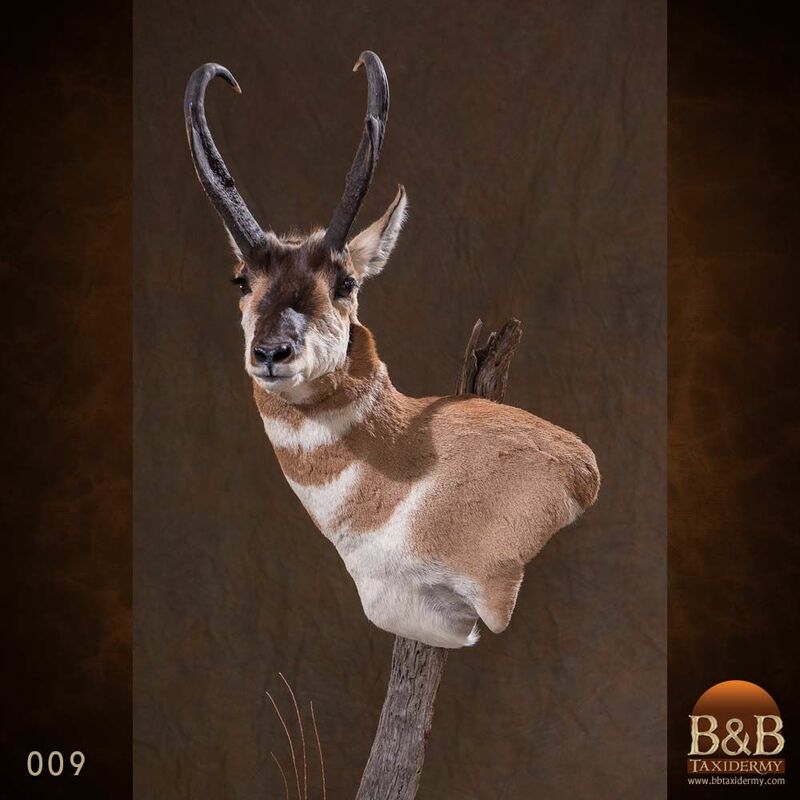 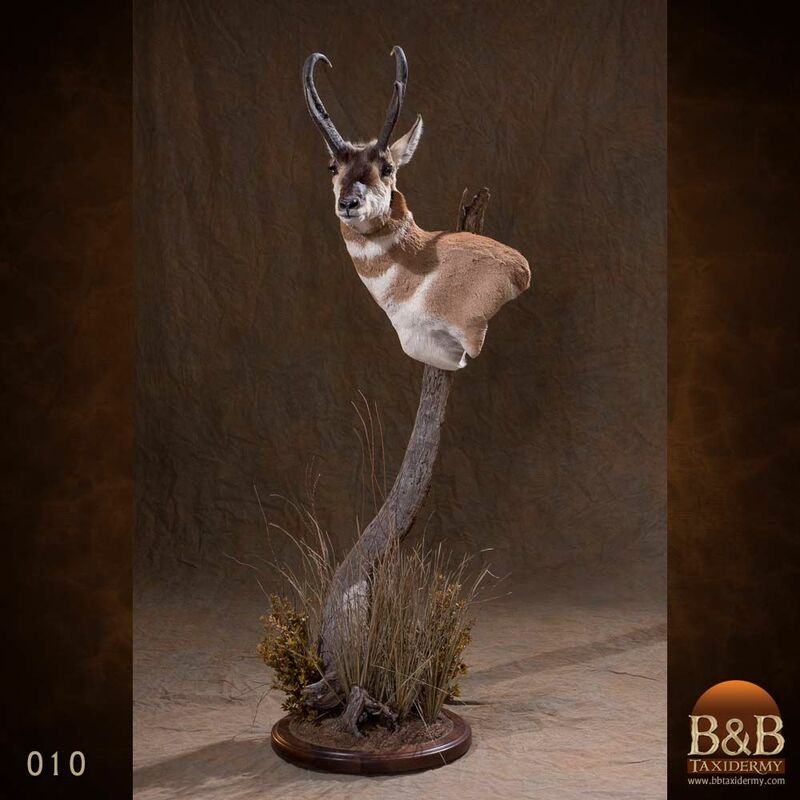 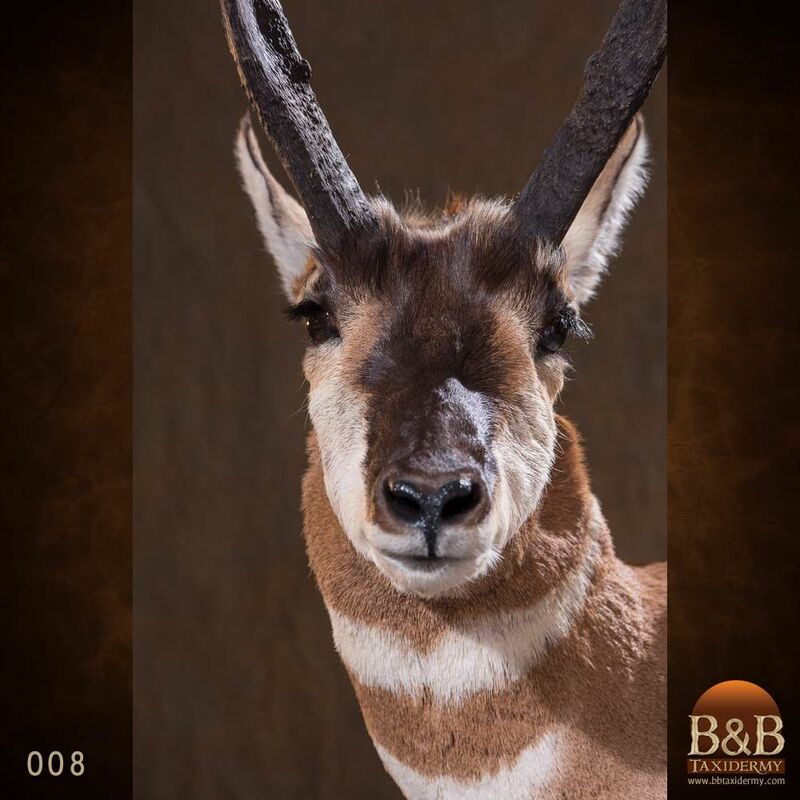 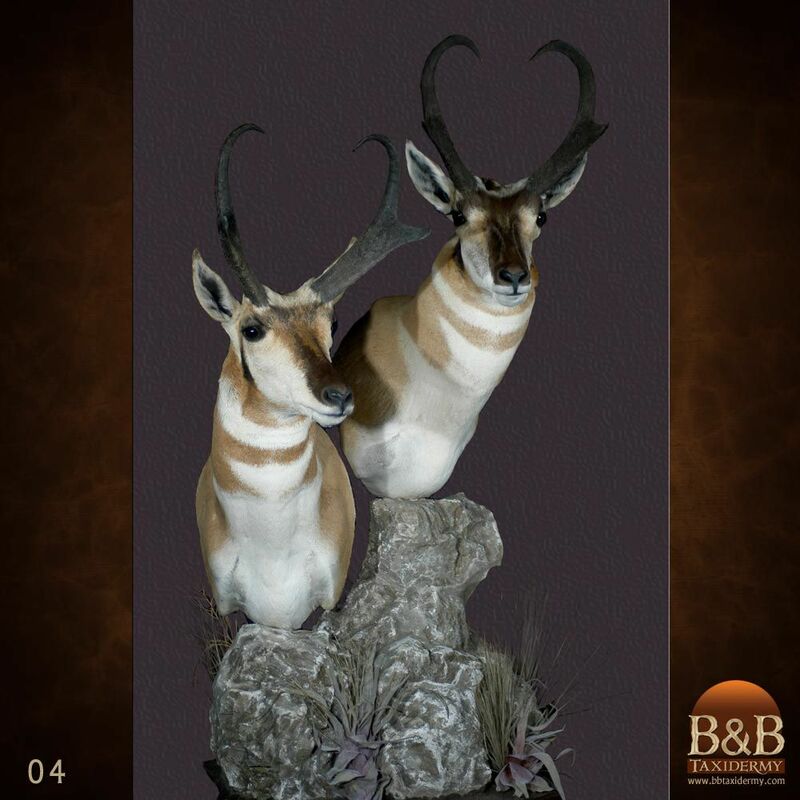 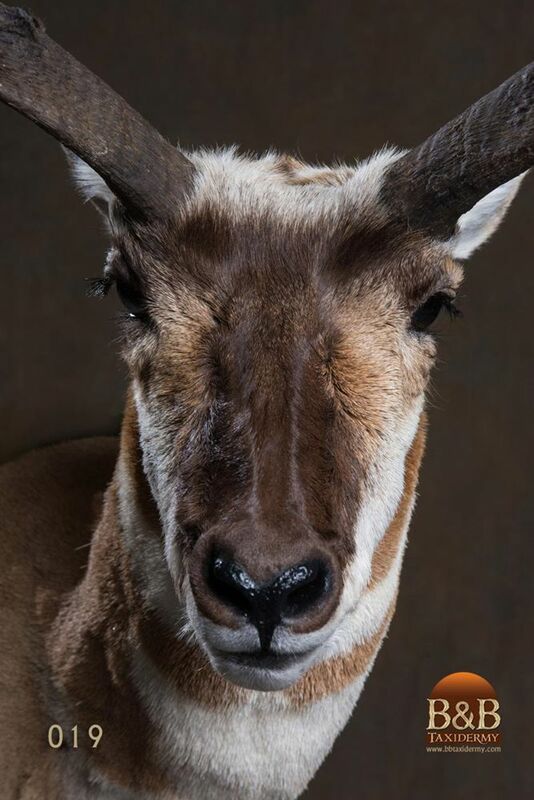 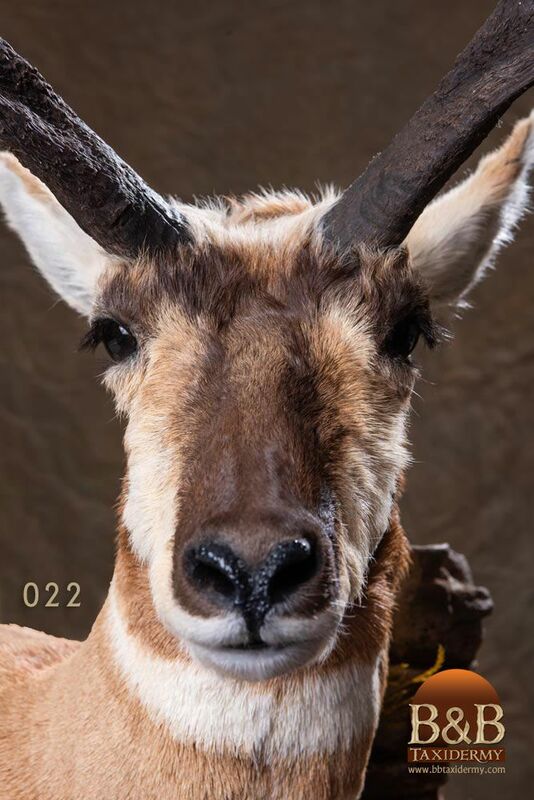 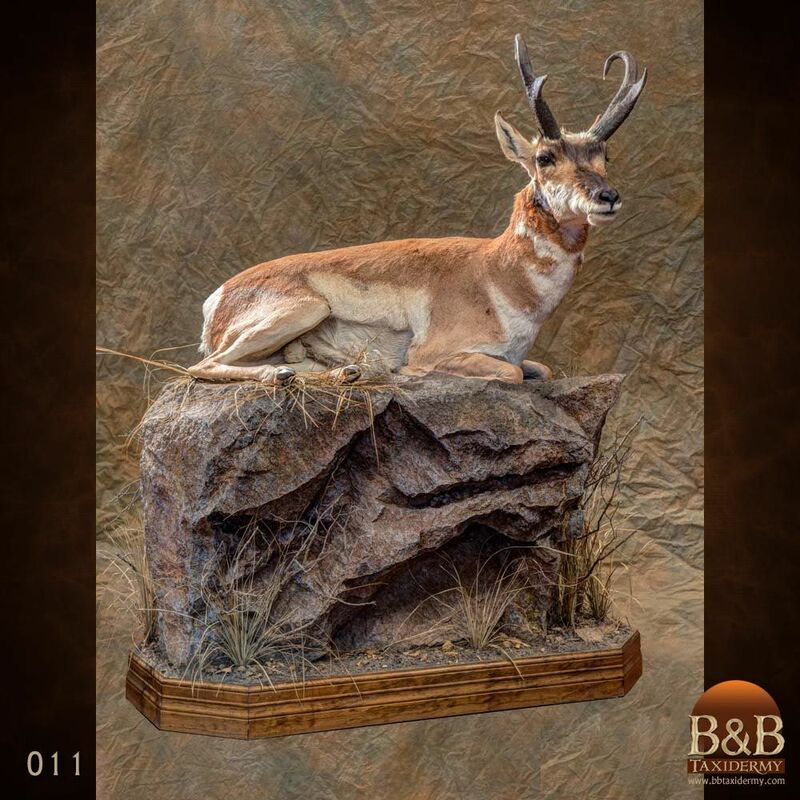 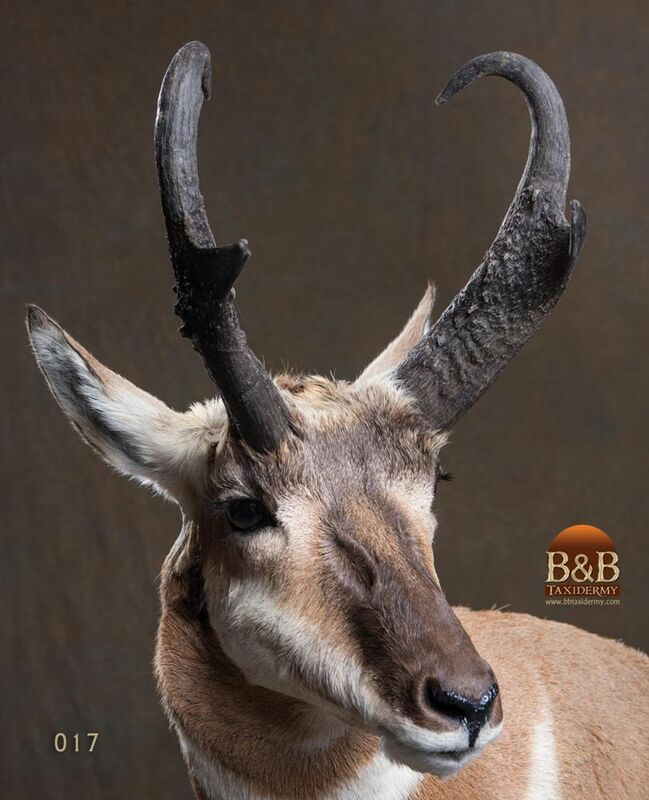 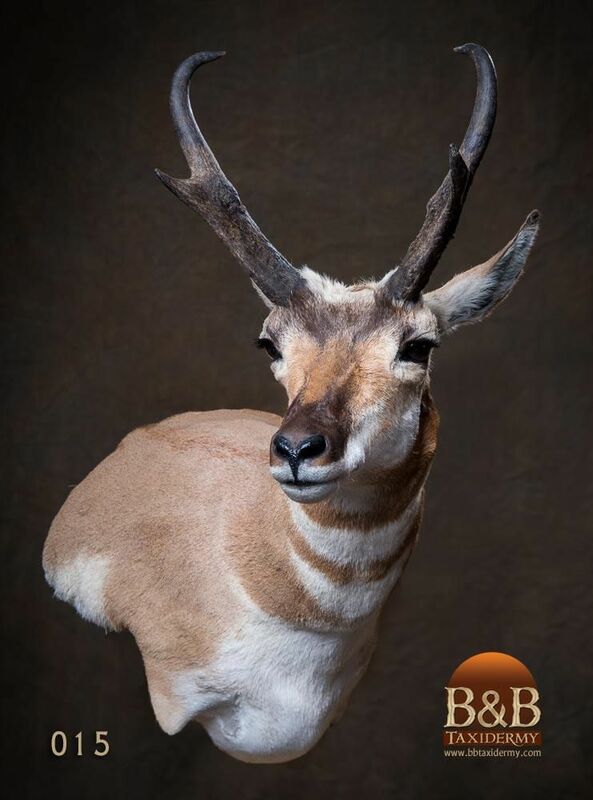 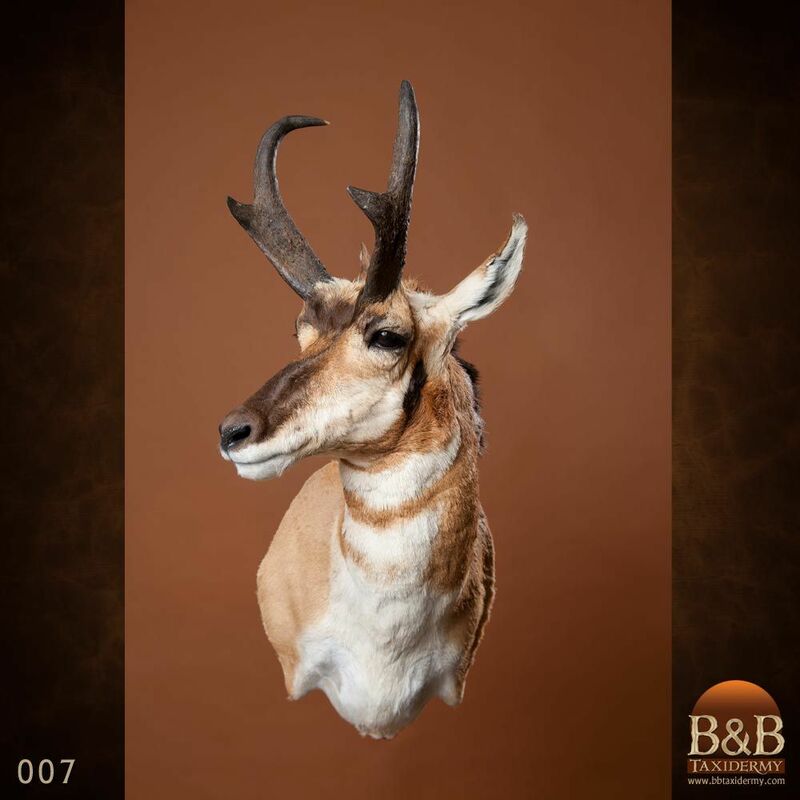 B&B Taxidermy can help you come up with a creative pose to remember and show off your Pronghorn hunt.